People with reduced mobility, either through disability or ageing, find using a bath tub difficult and hazardous. A walk-in bath is designed to make using a bath easier. These types of bath have a door in the side which can be opened, allowing the bather to easily step inside. The door reduces the threshold of a regular bath significantly and a moulded seat or optional lift seat will make getting up and down in the bath easier. What types of walk-in bath are available? There are three types: full length walk-in baths, which look the same as regular baths but have a door in the side. These full length baths may also be equipped with a power lift seat to help you get up and down. Not all full length walk-in baths have this option. Full length shower baths with a door in the side, which are designed to allow you to both have a shower or bath. This option is particularly useful in households of mixed mobility to suit all bathing preferences. Short length, sit in tubs, which have a door in the side so you can easily step in and a moulded seat inside so that you sit upright whilst in the bath. This type can be easier to use than the full length walk-in bath as it is easier to reach the taps and plugs and get up and down from the seated position. How do I use a walk-in bath? How do I use a walk-in bath? Open the door, step inside and close the door. Drop the plugs into place, turn on the taps and let the bath fill to the desired level, which should take a few minutes or so. (The rate of fill will depend on how much water you require and the flow rate of your hot water). Enjoy your bath as normal. Pull out the plugs and wait for the bath to drain, open the door and step out. Does a walk-in bath leak? A correctly fitted walk-in bath will not leak. 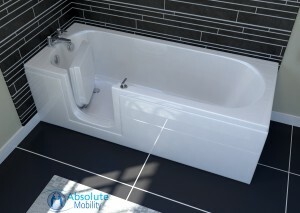 Absolute Mobility has years of experience fitting these types of baths and have many satisfied customers – just see their Checkatrade and Which? Trusted Trader reviews. The principle concern people have is that the door will leak. As long as the bath is fitted correctly (choose a good fitter with plenty of experience with these baths!) the door will not leak. To preserve the seal on the door, always leave the door open when not in use, like you would with a front loading washing machine. Never lean or sit on the walk-in door as that will damage the door and its hinge. In short, a properly fitted walk-in bath, which is looked after, will provide many years of reliable service. Does a walk-in bath use more water than a regular bath? No. Full length and short length, sit in tubs, use roughly the same amount of water as a regular bath. Of course exact volumes in litres vary from bath to bath, be they regular baths or walk-in baths, but generally speaking a regular bath holds around 170-180 litres of water. Full length walk-in baths are the same as regular baths and hold around the same approximate volume of water, depending on the model. Many people think the short length, sit in tubs, hold less water because they are smaller, but this is not the case. Though these baths are shorter, they are also higher allowing the same approximate volume of water to be held. Is it more complicated to install than a regular bath? It depends on the expertise of the person fitting it! A walk-in bath will require a thermostatic valve (TMV) to regulate the hot water at 40-43 degrees. This is an anti-scald, safety feature and it is not fitted to regular baths. The TMV slows down the flow of hot water and you need to be sure the water system in your home will provide an adequate flow of hot water to the bath. You need a good quality plumber, preferably with experience of fitting walk-in baths. How much does a walk-in bath cost? The exact price for fitting a walk-in bath, varies from job to job depending on the exact works required. If you’ve reached the point where you would like to change the bathroom and get a quote for the works why not get in touch with Absolute Mobility on 01491 411 041 or send us an enquiry. 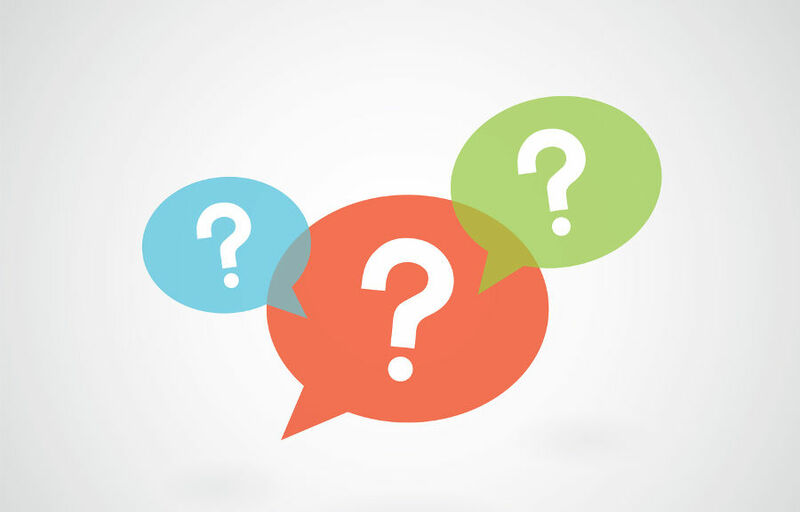 Alternatively, please feel free to contact should you have a question we haven’t featured above. We would be more than happy to provide you with professional guidance and advice suited to your individual circumstances.